A;; of a sudden, I'm very hungry - and I don't even like broccoli! Mmmmmmmmm, pizza, very cool picture. Oh YUM, that looks tasty! 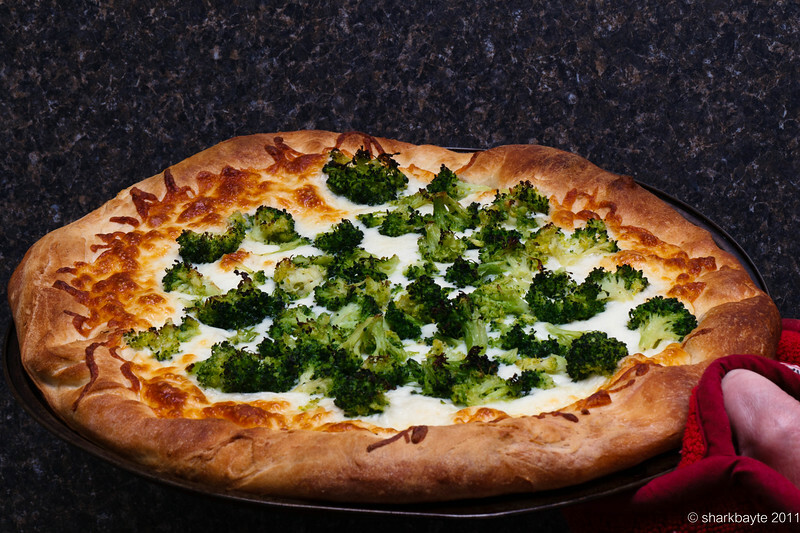 Broccoli pizza? I don't know about this. Now I'm hungry again...Nice capture! Yum! Nice job with the lighting.